There are many kinds of hearing loss and even more reasons for it occurring, and temporary hearing loss (threshold shift) is the most common of the bunch. There are generally three classifications of hearing impairment; sensorineural, conductive, and mixed hearing loss. Of the three, conductive hearing loss is associated as being temporary in nature, while sensorineural hearing loss tends to be more permanent, and a mix is a combination of the two. 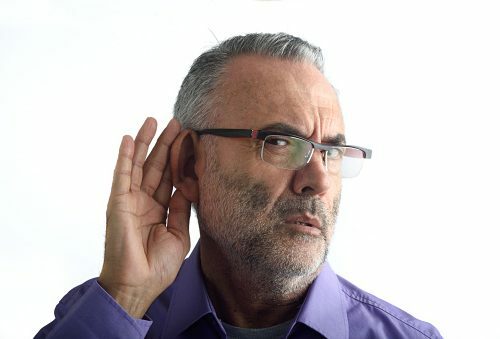 Sensorineural hearing loss is considered to be the most severe, as it involves abnormality or destruction of the inner structures of the ear and the auditory nerve. This may occur from birth due to genetic conditions, or viral, bacterial or disease exposure while still in the womb. Temporary forms of sensorineural hearing loss can occur and only require time to heal. Conductive hearing loss is the most common type of hearing loss, as it involves the outer ear and its structures. This means that direct trauma, infection, or even excessive wax buildup can decrease levels of hearing, but can improve with treatment. This type accounts for the majority of childhood hearing impairments. Temporary threshold shift essentially means we experience temporary hearing loss. It is a temporary shift in the auditory threshold and can occur suddenly after exposure to high levels of noise. Temporary threshold shifts are generally accompanied by tinnitus (ringing in the ears). Typical presentation includes ear ringing, muted sounds, and the perception of sounds sounding more distant than they actually are. This phenomenon occurs because the delicate hair cells in the inner ear have become overworked, and don’t work at their best. How long does temporary hearing loss last? The time for recovery can be variable and primarily depends on you removing yourself from the excessive noise source, or by using ear protection. By doing this, you give the delicate hair cells inside the ear a chance to recover. Circumstances that involve outer ear issues, such as an infection or excess wax, will resolve your hearing loss as soon as the problem is remedied. Typically, avoiding high levels of noise for at least 16 hours will be sufficient enough to recover hearing from cases of temporary hearing loss. In more serious cases, it may take between 48–72 hours to be fully restored. If you have not regained your hearing by the two-week mark, it is very likely that the hair cells in the ear have been substantially damaged to the point they are unable to recover. It may be a good rule of thumb to keep in mind the level of noise that resulted in the hearing loss and to avoid it in the future. These types of situations may include the loud buzz of a lawnmower, the sound of a crowded bar, or even a sporting event. If you cannot avoid these events, having a form of ear protection, such as earplugs, may help reduce inner ear hair cell damage. Exposure to loud noises: This can happen randomly or be an unavoidable occupational hazard. For those whose workplace puts them at constant risk of being exposed to loud noises, protecting their ears should be of utmost importance. It is not only workplace exposure that has this potential, unfortunately, as more and more individuals are wearing earbuds or headphones at much greater levels of volume than what is recommended. Ear wax accumulation: Although earwax is a normal thing your body produces to protect itself from a foreign object, too much of it can block the ear canal. This blockage may hinder sound waves from traveling properly through the canal and to the ear drum. This situation can be easily remedied by removing wax buildup. It is also a procedure that can be done by your health care provider. Middle ear infections: When bacteria invade the area behind the eardrum, an infection is likely to develop, leading to temporary hearing loss after an ear infection. The anatomy of the middle ear contains passageways to the back of the throat, and many times, a simple cold virus may result in an ear infection. Also, the accumulation of phlegm will start to invade these passageways, affecting your ability to hear. How to treat temporary hearing loss? Cases of hearing loss are often unique to those suffering from them, with temporary hearing loss treatment options depending on the circumstance. Some cases may only require to protecting the ears from further expose to load noises, this way the hair cells responsible for the perception of sound may recover. Other cases may find an individual having ear wax build being the primary cause of their hearing impairment, with the simple act of flushing or removing the ear wax being a cause of relief. Infection based origins such as with ear infections will require the use of antibiotic treatment, with hearing being regained once the infection has resolved. While temporary hearing loss is generally only a mild concern, depending on the type and frequency of exposure, it may become permanent. It is always a good idea to see your doctor for prolonged issues of hearing loss, as they may be able to shed more light on your particular situation, and hopefully, aid you in regaining your sense of hearing.